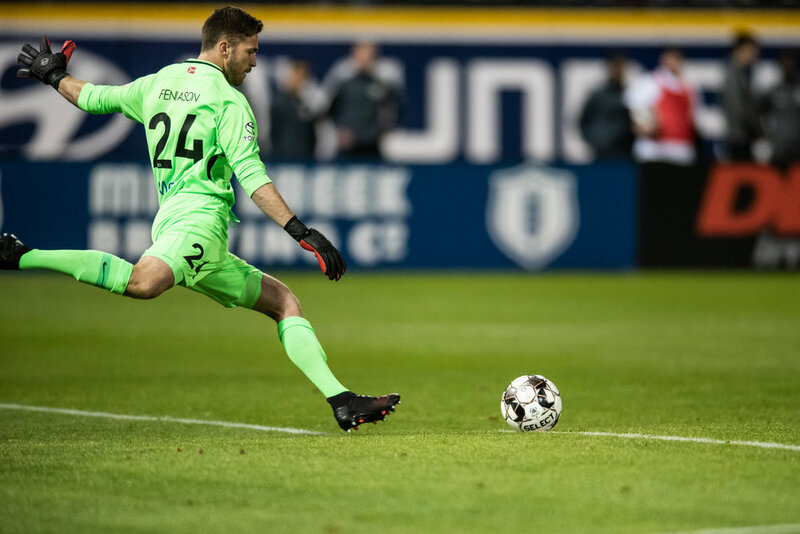 Saint Louis FC continued it form that has kept it on top of the power rankings over the last few weeks, with a 1-0 victory over Charlotte Independence, while Phoenix Rising FC somehow jumped up 2 spots despite still looking for their first victory of the month long season. After losing to El Paso Locomotive FC 2-0, Orange County SC dropped another 5 spots to number 25. But why is Phoenix in seventh? They can’t win a game. They were largely shut down by a 16 year old goalkeeper and conceded an extra-time equalizer at home last week. They’re just one point ahead of Orange County. And yet they’re in the top ten of the power rankings. The next closest team with no wins? The Pittsburgh Riverhounds, in 21st. What an absolute joke. Phoenix is obviously a good team, much like OC. But being unable to get three points means that a team isn’t in very good form. Which, repeat after me: means that they shouldn’t be in the top ten of the power rankings. For a team ranking that makes sense: look at Reno 1868 in 15th. They’ve now thrown away six points by forgetting how to play in the last 15 minutes of games. Conceding two extra time goals is only allowed if it’s 1999 and you’re Bayern Munich. They’re a bang on average team as a result, and deservedly sit in the middle of the table. They might still be unbeaten, but I think they’re going to drop all three points the first time they play a team in good form. Maikel Chang and the rest of the Monarchs might prove to be that team… I only hope they keep playing like this in July so I can keep my hair. Well, we’re not the worst team in the league. But we’re definitely the team performing the worst with the biggest expectations and most quality. I can’t think of why this is happening, and I don’t think anyone with the club could either. The team looked very lost in El Paso, and I think we should all consider the club lucky that it wasn’t a blowout. That being said, Patrick McLain looks to be the man to steady the ship at the back, and the return of Michael Seaton hopefully sees the team return to a 4-3-3. The future definitely looks brighter, but coming up against Colorado Springs worries me. Can't wait for the Seattle Sounders to jump up 10 places this week after beating Sacramento. Maybe they'll even pass Phoenix. Another week, another poor performance from OCSC. This week sees them drop 5 more spots in the power rankings and if the current form holds I can see Austin, Atlanta, and even Los Dos jumping over them sending the Orange and Black further down the list. I am sure Dylan and Ray are going to mention this too, but how is Phoenix so high on the power ranking list. They haven't won (although they haven't lost either) and have given up a ton of goals. To me, power rankings should be based on how well the team is playing right now, not how well the team might be playing in the future. With that being said, I think Tulsa should be much higher than Phoenix. Yes their wins are against lower tiered teams, but Phoenix had to battle back against a tepid San Antonio team and couldn't beat New Mexico or Colorado at home. There is no reason why they should be ahead of Indy, Nashville, Tulsa, or even NYRB. Say what you will about not loosing, they are also not winning. The team that I am not at all surprised to see at the top is Saint Louis. I think they are the strongest team in either conference right now. Outside of an unlucky hand ball against Tampa Bay, they'd have four wins in as many chances. They are a team who knows their identity and I think they are much happier in the East, not because the competition is weaker, but because their style of play seems to give that conference fits right now. I hope OCSC can find their identity this week while facing a solid Colorado team, but if they don't get a win by the end of the Tacoma game, I think some form of button needs to be pressed if they hope to even make the play-in games. They are currently only 3 points away from that but with 5 teams between them and the Monarchs.